What this phone secretly recorded during a lecture went around the world. The professor is so humiliated he tries to hide from his students. Stephen Barrows is a father of five and professor at Aquinas College in Michigan. Stephen has his own method to reprimand any potential class troublemakers. As soon as a phone rings during his lecture, the owner muss answer - but on speakerphone, so that the entire class can listen. But, on April 1st, the students fought back and concocted a delicious plan for revenge. More than 40 million people have already seen the video. This professor really has a sense of humor which has turned him into an internet star. 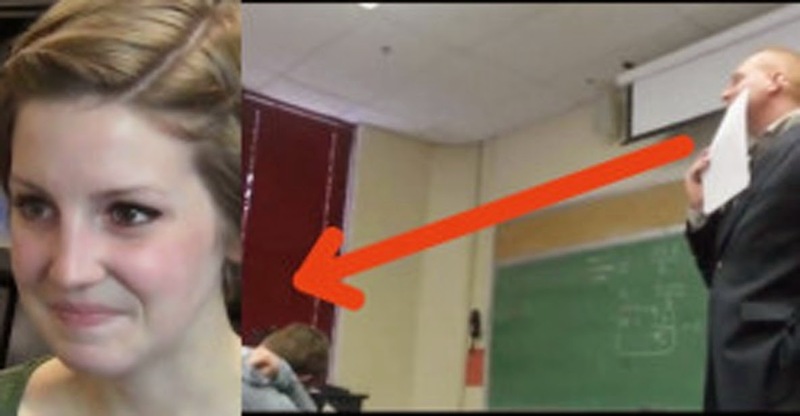 Share this video of a brilliant prank and a professor who knows how to take a joke!